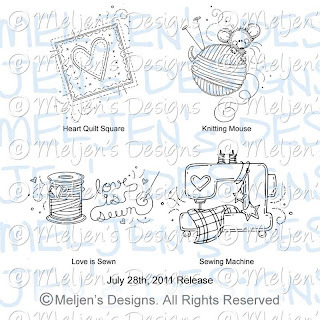 I chose to use the Heart Quilt Square and the Love is Sewn image - both can be found HERE at Whimsy Stamps. This week's challenge is to "Frame It" - somewhere you must frame something. I loved this challenge and had fun creating a card with a frame around the new images I colored in Copics. 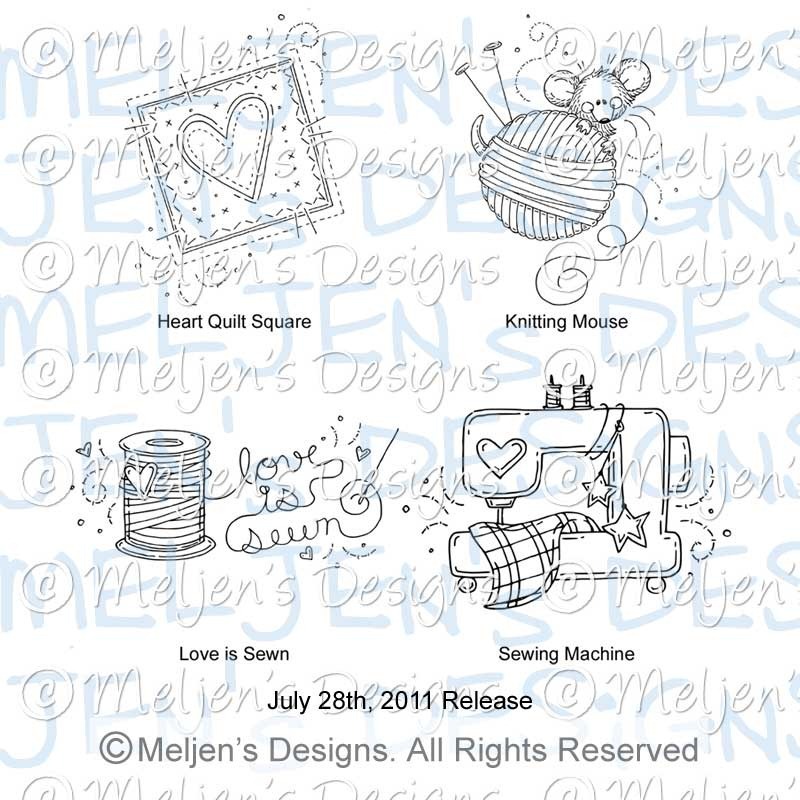 Please join us at the Meljen's Designs Challenge blog for a chance to win some images! Ohhh this is so cute!! 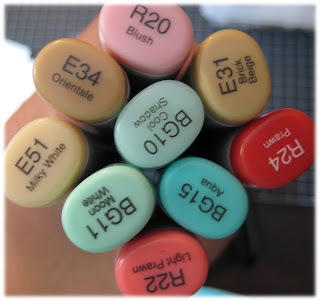 I love the combo of the two images and the colours you've used <3 Perfect sentiment and loadsa buttons - yum!! Love this little card and look the sentiment is the same color as the thread and the twine you used to make the bow. ADORABLE! 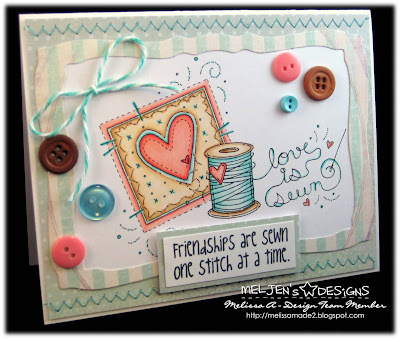 Melissa, your card is just adorable and I love the soft colors! So beautiful! Those images are great, but I really love how you combined them! Everything just goes together perfectly! This is so pretty. I love the colors you used and your stitching looks fabulous! So pretty! 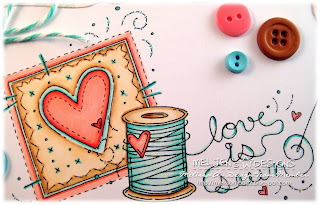 I love the colors you used and your fabulous stitching.